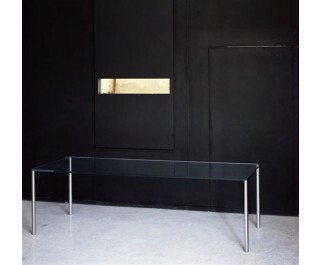 Series of high, low tables and consoles with top in mm. 19 thick transparent and transparent extralight tempered glass. The cylindrical feet with diameter Ø mm. 40 are in satined steel and are fixed to plates glued to the top.